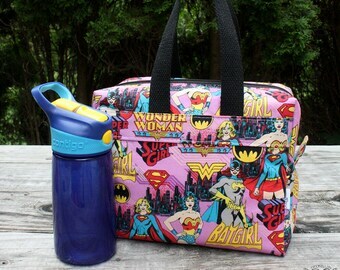 My brand new lunch box design is finally here!!! This is the square design. 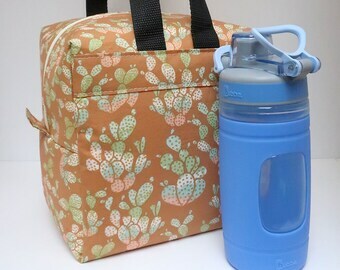 This is a fully insulated soft lunch box. It has lots of room! 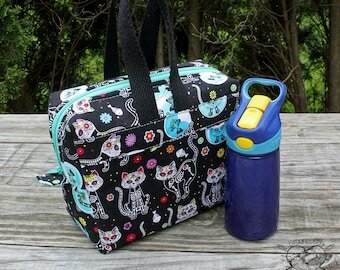 The squared design can fit different types of food containers, water bottles, six packs etc. Its soft, yet sturdy construction holds it shape while being used, but also can be folded up when not in use. 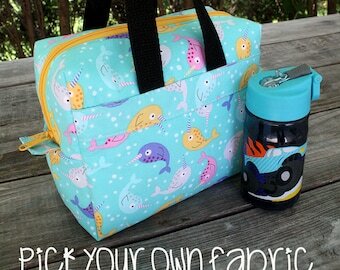 It also makes a great picnic, pool or beach bag! and leave your choice in "notes to seller" when checking out! 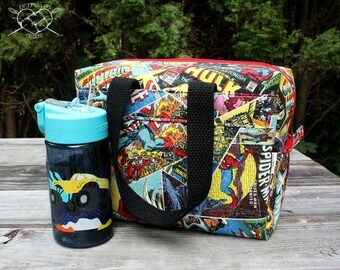 - fully insulated to keep lunches cool! 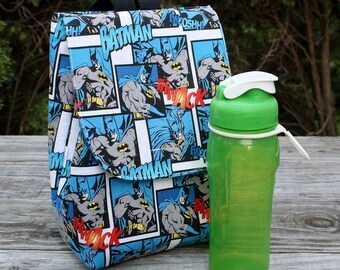 ***PLEASE NOTE THAT THIS LISTING IS FOR THE LUNCH BAG ONLY. WATER BOTTLE PICTURED IS FOR PHOTO STYLING ONLY. 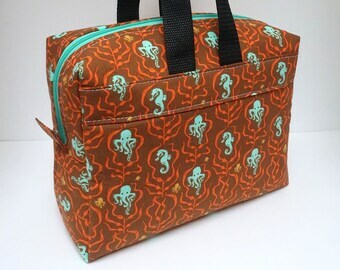 Love the bag, hate the print? Send me a convo to discuss custom listings!! 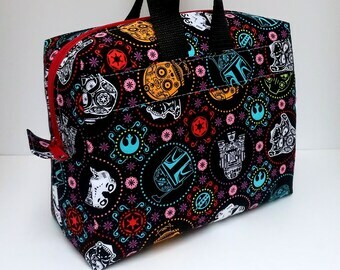 Great size and love the fabric! Exactly as requested and great quality, thanks! Payment is due immediately upon ordering. PLEASE READ ITEM DESCRIPTIONS CAREFULLY!! If you have ANY questions about the item, PLEASE send me a message before purchasing. All sales are final. However, I take a lot of pride in my work, and I put a lot of love and time into it. So if you have a problem please contact me right away and I will do my best to resolve the issue. I do not accept returns due to the custom nature of my items. HOWEVER, I will do exchanges on a case-by-case basis. ALL SHIPPING COSTS ARE TO BE PAID BY THE CUSTOMER. I ship via USPS First Class with Delivery Confirmation. You will receive an email with a tracking number once your package has shipped. International orders will not have a tracking number. 2 Day Priority USPS Shipping Upgrade is available for US orders only!! PLEASE NOTE, once the item has been shipped, I cannot be held responsible for lost or damaged packages. If you would like to purchase insurance, please let me know. 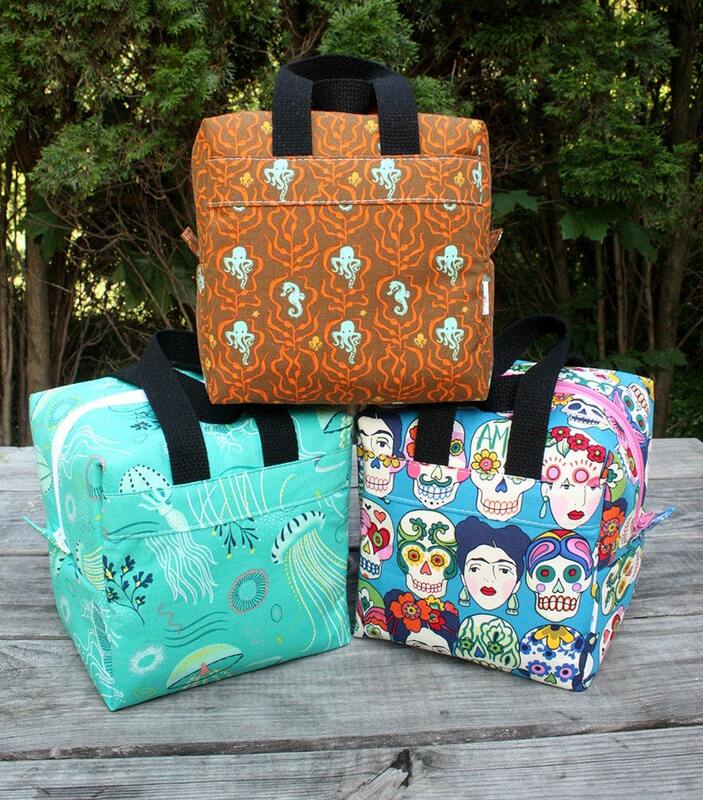 ***I am unable to take wholesale orders at this time.